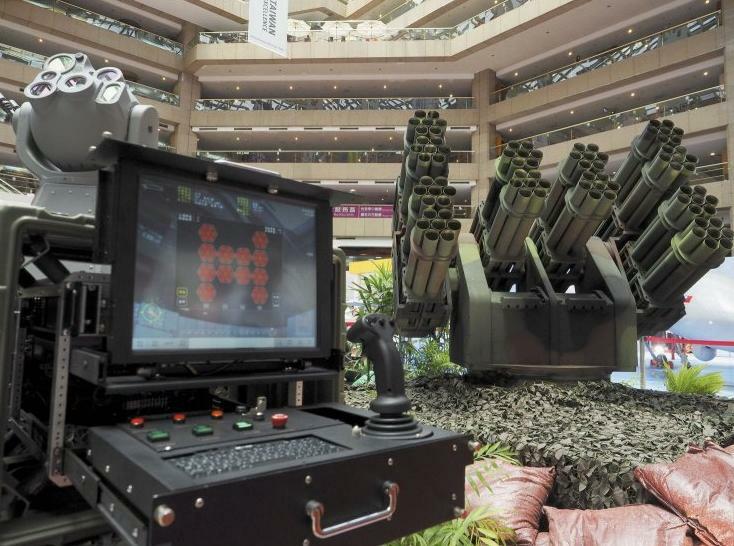 Coastal Defense Rocket System introduced at Taipei Aerospace & Defense Technology Exhibition 2015 (TADTE). 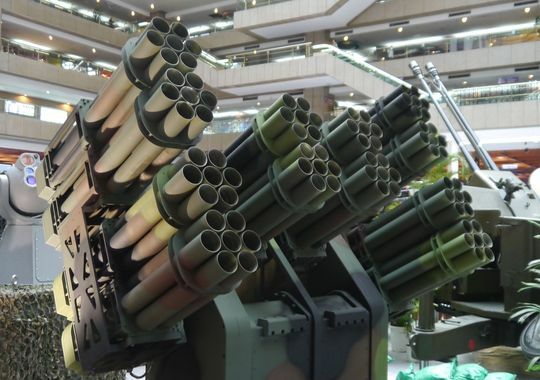 That is 81mm vehicle mounted automatic mortar with 84 launch tube developed by the 202nd Arsenal, Material Production Center under the Armament Bureau of the ROC's ministry of Taiwan Defense. It is used in conjunction with the Cloud Leopard armored personnel vehicle. With steel balls inside its shell, the 81mm vehicle mounted automatic mortar can greatly increase the casualty rate of a PLA landing force.